We're on a roll this week with guest authors, and I'd like to welcome Donna Galanti to the blog today. She fits in well with my ongoing "how to be more productive" series, and she's here to shares tips on how to stay inspired and keep writing. 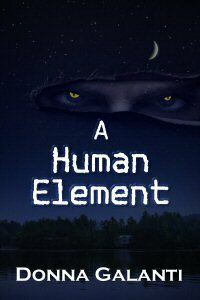 Donna is the author of the dark novel A Human Element (Echelon Press). Donna has a B.A. in English and a background in marketing. 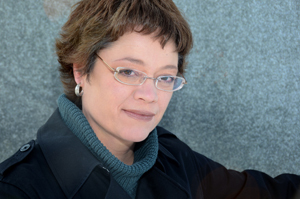 She is a member of International Thriller Writers, The Greater Lehigh Valley Writers Group and Pennwriters. She lives with her family in an old farmhouse in PA with lots of nooks, fireplaces, and stinkbugs. Visit her at: www.donnagalanti.com. I started my suspense novel fifteen years ago, wrote twelve pages and shelved it for more than a decade. I got bogged down in writing it and writing it well. Don’t write it well…at least the first time. I got so hung up in going back and editing the bit I just wrote that I couldn’t move forward. Keep moving forward. Put those words on paper. Do not stop when you pass go. Just GO. Until you pass THE END. Then go back and edit like crazy…again and again and again. I find photos of my characters. iStock is great for this and fairly inexpensive, and you get some credits free just for signing up. Also, in finding one model I like I also found an entire portfolio of him in different poses and dress which helped me with different scenes in the story. I look at my character photos for inspiration in writing scenes and imagine their mannerisms. I use these in my blog posts too. For your own personal use you can locate any photos on the Internet for free. I search for theme songs for my characters. To feel close to them before writing I listen to the songs in the car and right before I sit down to write. And then I shut it off. But I hear the song in my head and it fuels the moment I’m in. I feel the character and their situation from the music and it drives me with passion to write. My husband doesn’t like it. Why? Because I fell in love with Country a few years ago. (Gag, he says). But where else can you find fitting angst to inspire words on the page but from Country songs? Country has it all…lost love, out of work blues, hard times, no-good family and lots of drinking. Need inspiration? Check out the Top 100 Country Songs of All Time. Or check out Pandora’s Box to find music that fits your mood for your writing and build a soundtrack. I’m starting a new novel now and I can’t even listen to the music from my last novel. It confuses me about how I feel for my new characters. I admit. I often sneak away to be with my fake people rather my real people and take their photos and songs with me. I think it must be the closest thing to being a child again with that imaginary friend. It’s so wonderful to sink into that again. I had an imaginary dog as a child (figures mine wouldn’t be a person I could actually talk to). I was also inspired to write from grief. I started novel writing right after my mother died. I needed something to focus on to get through the days. It healed me. It comforted me. It made me feel like I was doing something for my mom. One author I know who wrote from grief is Ann Hood. She lost her will to read and write after her 5 year old daughter died suddenly from virulent strep. She eventually took up knitting to comfort her. From her healing grew the tale The Knitting Circle about a woman who loses her 5 year old daughter to meningitis and how knitting comforted her during a time of terrible anguish. It’s hard to think wonderful things can come from grief. I know. And there are many things we can grieve over–death, divorce, physical problems, loss of job, loss of friendship. Are you grieving in some way and can use that to create something positive from in your writing? And finally, when stuck–go for a walk. It never fails. When I get stuck on a scene I go for a walk and figure it out. I then sprint back home to get it all down. I think the power of removing yourself from all distraction helps our brain work out solutions. I was thrilled to read in Stephen’s Kings book ‘On Writing’ that he does the same thing (a good kind of Stephen King thrill). How are you inspired to write? Determined to find the killer, she follows her visions to the site of a crashed meteorite–her hometown. There, she meets Ben Fieldstone, who seeks answers about his parents’ death the night the meteorite struck. In a race to stop a mad man, they unravel a frightening secret that binds them together. But the killer’s desire to destroy Laura face-to-face leads to a showdown that puts Laura and Ben’s emotional relationship and Laura’s pure spirit to the test. LIKE Donna’s Author Facebook page for news and updates! I've heard of finding a photo for your character before, but never of looking for a range of them to help `see' them in different situations. Wow! I love your suggestions and I do so many of them! I love Pandora radio, playing on my computer as I write. My fave station is Epic Movie soundtracks (Pirates of the Caribbean, LOTR & Narnia) for my action scenes. I read Ann Hood's memoir about her daughter and it was very touching. I wrote for the year my husband was out of work. I took up the slack working nights and would write in my down time. It was an intense time. Walking and driving in the car frees up my mind so I can figure out where a scene or character is going. Yay! Love your suggestions! Mood music/character theme songs are a must for me, as well, and I have to agree that country is a go-to for angst. I hadn't thought of the iStock idea, though I always collage my novels before I start writing. I'll definitely head to iStock next time! Ann Hood's work is phenomenal; I had the great fortune of attending some of her seminars in grad school, and am always moved and inspired by her writing. Thanks for a great post -- your novel sounds amazing, I'll definitely be checking it out! Amelia, YES Pandora is fantastic to use to create your own soundtracks and I know several authors who use that. I will have to check out Epic Movie soundtracks, thanks! I know all about hard times with lay offs, my husband and I were laid off 5 x between the 2 of us being both in Marketing. But good things can come of it - I hope it was your writing for you! Jen - Country has that angst, indeed. :) How lucky you got to attend Ann Hood's seminars! Thanks for the kind words about my novel. I almost always write to music, or at least play it to get me in a mood. One of my current WIP is a musical, so I can't listen to music at all while I work on that. But for my novel WIP I have two Pandora stations - one built on Celtic flavored music like Enya and Lorenna McKennit and one based on the work of Evanescence. I love Country music, but I've never really tried writing to it before. Walking and driving both help me get unstuck. I had a scene just a week or so ago that I'd spent two hours staring at the computer trying to figure out how it worked. Then I had to go to a recital, and by the time I drove there, the solution had come to me (fortunately I brought my notebook!). What a great post, Donna! Oh my, "I broke through what stopped me from writing." resonated with me:) I also got bogged down with writing many years ago, believing because that first draft wasn't perfection itself - it was due to minimal talent, lack of discipline etc etc etc lol My inner critic was on high alert the whole time;) Didn't learn till recently that getting bogged down was due to my perfectionism and too high expectations. I am now back at writing again, this time giving myself permission to write a perfectly dreadful first draft! I love the idea of theme music. There is a piece of music on the Winter Solstice cd and everytime I listen to it I get these images. This has been going on since 2005. Now that Donna has helped me to understand that I am not weird, this will become one of my go to working tools. This was a great post! I'm glad I stopped by. Sketch Artist, so glad that resonated with you! Keep giving yourself permission to write that first dreadful draft- it's all brain spew I say. :) But the accomplishment is having written THE END. How cool to "meet" a fellow Pennwriter. Many questions come forth like are you going to the conference in May? Thanks for all the good tips. I especially like the one about theme music giving us images to write about. Pictures - I usually have a picture in my mind of how a certain character should look (like he looks like Sean Connery or she looks like my Aunt Agnes), but never thought of actually printing photos - great idea! Write from grief, yes, I do this sometimes. As I write horror, I use the image of an ex-husband for my bad guys (and these bad guys usually die horribly). I have some of my best ideas when I'm walking! Clarbojahn, sadly I am not going to Pennwriters as I am headed to Thrill Fest in July with International Thriller Writers being one of theur debut authors this year. Its a mighty chunk of change! So had to forgo Pennwriters. I am hoping next year! Thanks for asking. Perhaps we can meet on in person at another event! Melinda, hope these tips help if only a little. I still need advice as I go along have found fellow writers offer such camaraderie and eagerness to help. Great idea with the pictures. I use a song for the mood of the story, but for each person would be fun too. Writing with both sides, I also only wrote short stories too so can relate. A novel seemed so huge and overwhelming. I looked at it in pieces. Each chapter was like a short story for me, and thats how I waded through it. Of course, that first novel is tucked away in a drawer never to be revisited! BUT it helped me realize I could sit down and write a book from beginning to end and that's what inspired A HUMAN ELEMENT's completion. Good luck! I'm really touched by your advice to write from grief. Having just lost my mother, I'm finding it hard to focus on anything for long, and getting back to a writing schedule seems unachievable. I'm going to take your advice, though, and thank you for posting about something so personal. Trudy, I am truly sorry for your loss. Losing a mother is very hard. Writing was the only thing that got me through, in combination with a grief counselor. What they say is true, time is the only thing that heals. I hope you find some solace in writing. I wrote for myself and my mother, perhaps you can find some inspiration and peace in doing the same. Wishing you the best.